I’ve always had a deep fascination with the forest and it’s inhabitants. There is a mysterious, ephemeral quality of the natural realm that captivates me. My work is a personal journal of the inner peace I find in the woods, integrated with musings of the animal’s lives weaving among the trees. 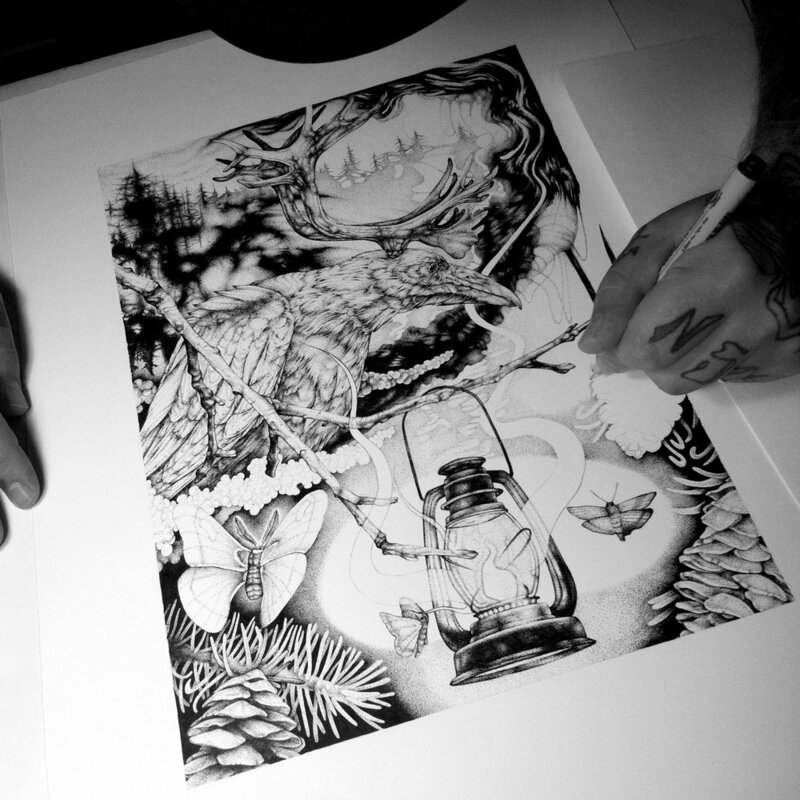 I create in a way that comes most natural, through drawing, primarily in pen & ink. Much of my passion lies in translating the intricate details and subtleties of the environment, alongside the surreal elements of my imagination.